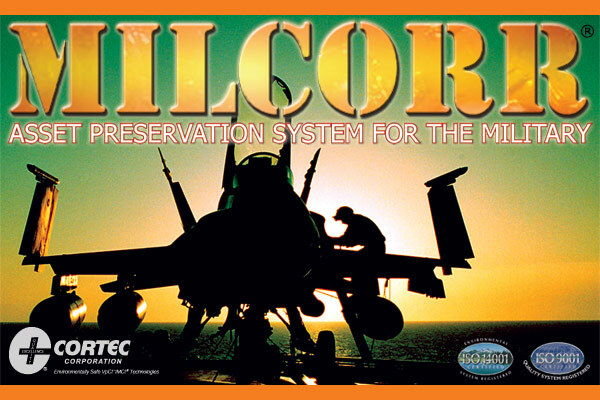 Many types of corrosion prevention measures have been adopted over the years by the military. Now, new strategies are continually being developed and evaluated for effective corrosion control. Loss due to corrosion has become a major priority for militaries. Some Militaries choose to do Nothing! War Readiness is a Key Factor now being taken into consideration, and Cortec® has the solutions needed that fit easily into existing application systems that will reduce costs of protection with more efficient and economical solutions. Cortec® can extend asset life and enhance war readiness.